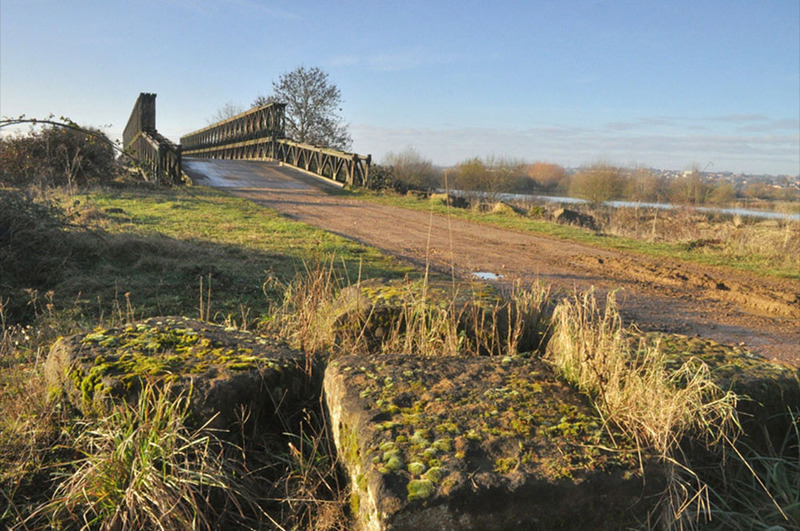 This post-war Bailey bridge was constructed for use during the quarrying industry and replaced a railway bridge of the Northampton to Peterborough Railway. Bailey bridges were developed and used extensively during World War II as they were portable, required no special tools or heavy equipment to assemble and were robust enough to carry heavy tanks. During gravel extraction, a giant electric conveyor belt was installed along the railway line and across the bridge. 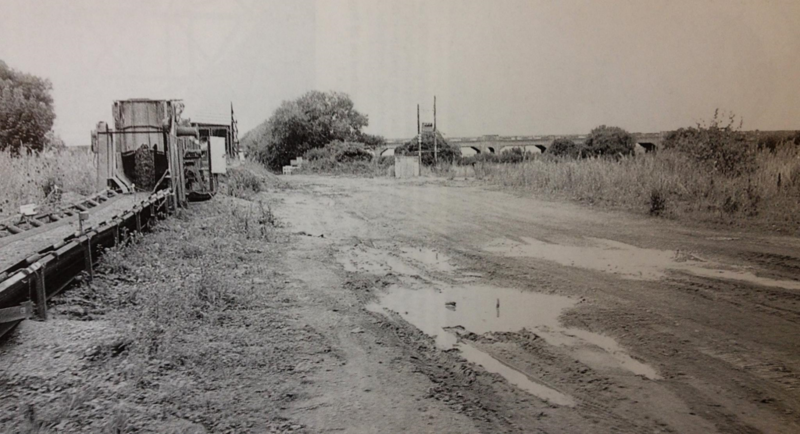 Its job was to carry the sand and gravel that had been extracted at Irthlingborough to the processing plant at Stanwick, where it was washed and sorted. Beyond the Bailey Bridge, you can see the A6 flyover. By the 1930’s, the amount of road traffic was increasing and the flyover was built to replace the old medieval bridge which was no longer able to cope. Next to the bridge is a large area of scrub and bramble which, in summer, provides an ideal nesting site for whitethroats and blackcaps. In the autumn, the blackberries provide a last minute feast for these summer visitors, helping them to build the fat reserves that they need to fly back to Africa and the Mediterranean. Alongside the path, wildflower seeds have been sown and oxeye daisies, poppies and common knapweed can all be found here.